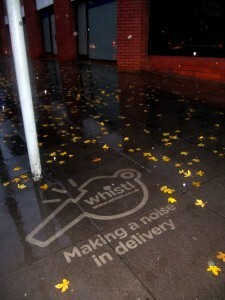 Recently we carried out a advertising campaign in Belfast which advertises ‘Whistl’ which is the new name for TNT Post. A clear example of the advertisement is seen above. 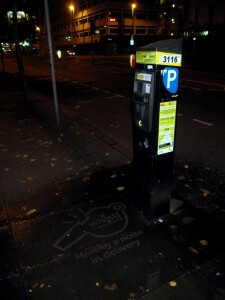 Using reverse graffiti, a clean, eco friendly and cost effective way to advertise, thousands of people are walking past these street ads in Belfast each day. 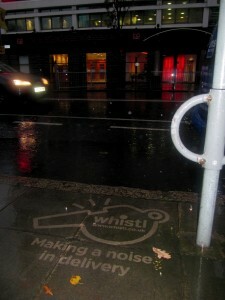 Keep an eye out for them in Belfast City Centre. 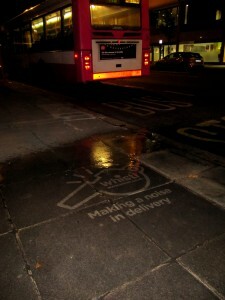 Of course these Whistl clean adverts in Belfast will become dirty again and finally disappear, meaning that the only material that was used, and is Eco friendly was water! If you have a business or message that you would like to get across in Belfast and beyond in a smart clever way, and would like some more information and a no obligation quotation, please get in touch.